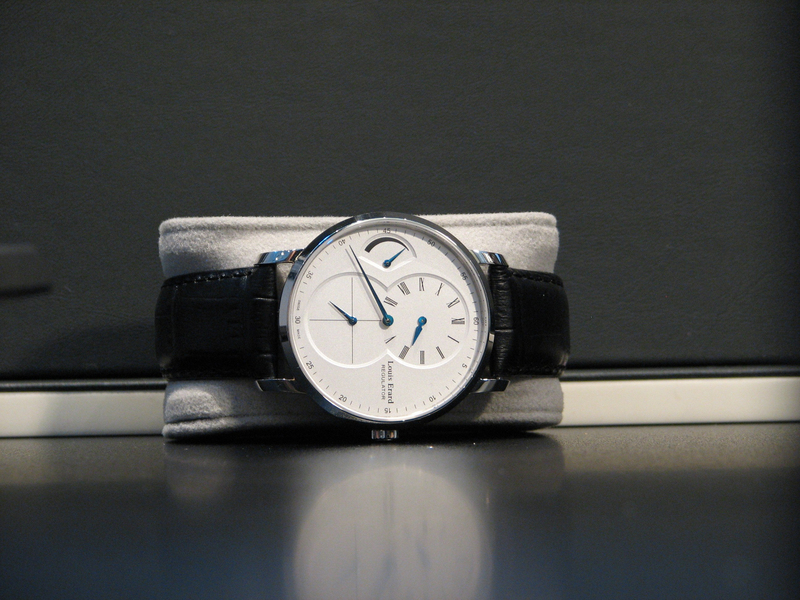 Louis Erard recently introduced at Baselworld 2012 a new regulator with power reserve as part of their Excellence Collection. You may wonder while looking at the picture below how you read the time? Well, there is an offset hour counter at twelve o’clock, a central minutes hand, and a seconds hand at 6 o’clock while the power reserve is indicated at 9 o’clock. The sapphire crystal with anti-reflective treatment on both sides guarantees excellent legibility. The caseback is decorated, and I would have loved to see the caseback through a sapphire crystal to admire the beautifully finished hand-wound movement. Nevertheless, this watch with its flat case sits comfortably on your wrist while providing adequate weight to make you feel that you are wearing a mechanical timepiece of Swiss manufacture. On a hand-wound watch, I really find the power reserve complication very useful. You know when the time comes to wind your watch and will not miss it. 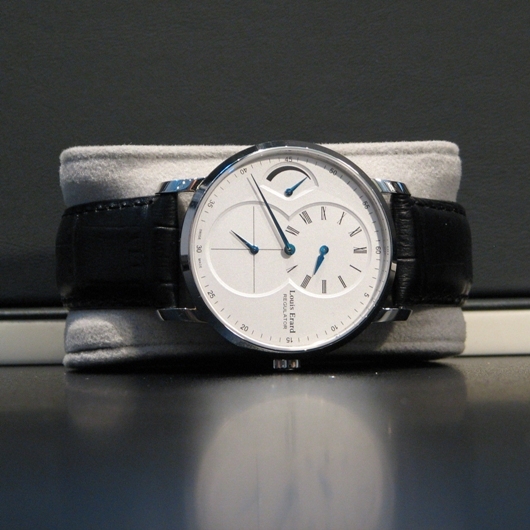 All this is offered at a truly affordable price point at your authorized Louis Erard dealer. Please subscribe to the Gevril Group newsletter and blog digest. Reader comments are welcome.